Confession time. I sometimes can be a perfectionist to the point of driving myself and my loved ones crazy. I think it comes from needing to control this out of control world around me. Did I fold that towel perfectly? Or polish the sink until it shines? Did I run enough time on the treadmill? I can’t stop. I have tried. I’m guilty of beating myself up or listening to negative people. My studio allows me to escape though. When I am there designing I can embrace the beauty of imperfection. I am free of the chaos around me and I am allowed to just let my creative juices flow. It feels so liberating at times and I am grateful for every moment. This necklace was created in one of those special moments. I love dragonflies because they remind me of the ever constant state of change. We all have the option to grow and become better individuals or to continue to be stuck in fear. 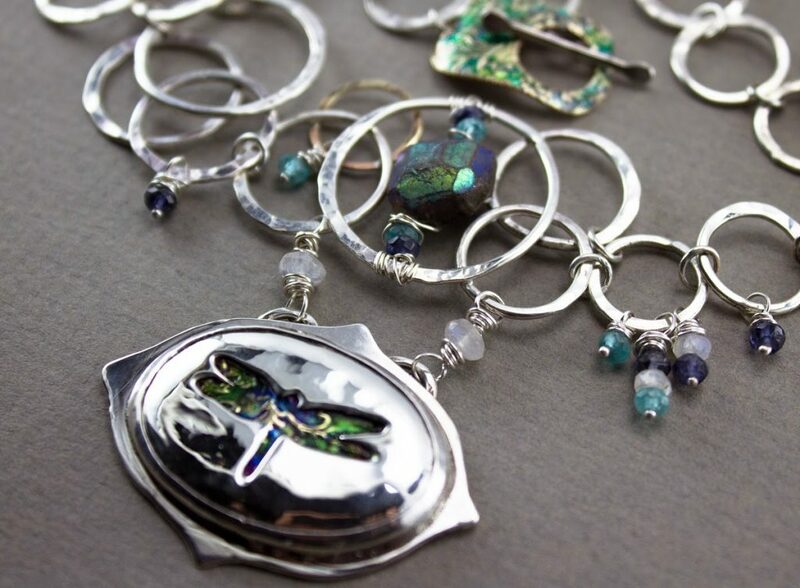 Dragonflies remind us to live with joy and lightness of being. 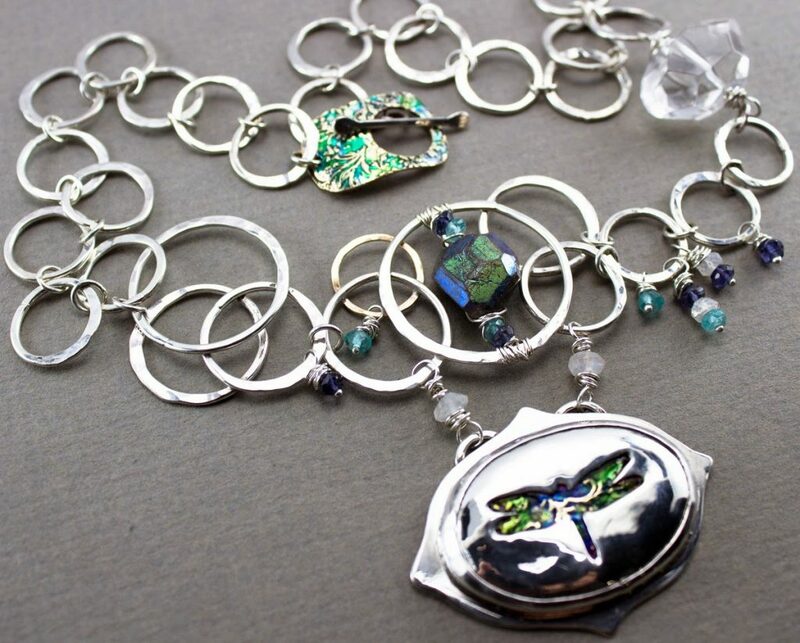 A beautiful dragonfly visited me while making this necklace. It reminded me to be adaptable and always look for ways to change and grow. My Transcend necklace is currently being showcased at Harris Center Art Gallery. What about you, do you tend to beat yourself up if you feel what you do isn’t good enough? Coming from you that is an amazing compliment!!!! I love your work, you inspire me to be a better designer! Yes, it's as if a bomb went off when I'm done with a design, oh, and the liver of sulfur smell is a treat for the family! Lol.